Project plans call for the Cambria Pines Apartments to consist of 33 units spread across eight buildings. The complex would have four one-bedroom units, 19 two-bedroom units and 10 three-bedroom units. Additionally, the apartment complex is expected to have a community services building, play yard and barbecue area. The project is located on a 5.88-acre parcel near Cambria’s middle school and the Schoolhouse Lane apartment complex. The site is adjacent to a section of Monterey pine forest on the western edge of East Lodge Hill. Apartments are expected to cover 2.04 acres of the parcel. SLO County initially received the project proposal in 2012. The project was later put on hold amid a long drought. County planners approved the project despite Cambria being under a moratorium on new water connections that has been in place since 2001. The moratorium includes an exemption for affordable housing. 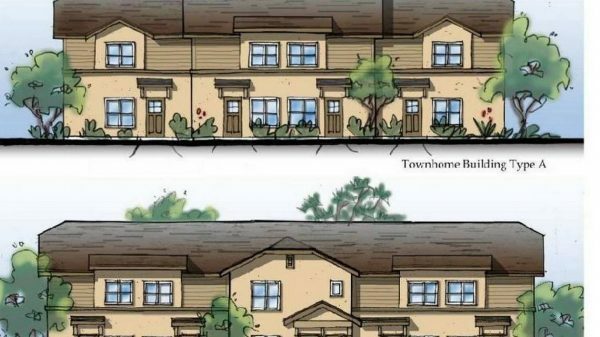 Cambria reportedly has a more than 100-person waiting list for affordable housing units. Following the planning commission decision, an appeal of the project could be filed in SLO County up until 3 p.m. Friday. After that deadline, there will then be a two-week period in which the project could be appealed to the California Coastal Commission. Construction on the Cambria Pines Apartments is currently expected to begin in 2021. Next → Next post: Where did garbage agency’s tax payments go?